You can learn to make various kinds of origami fortune teller here. 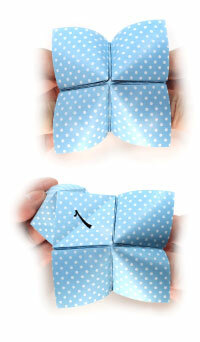 This traditional origami fortune teller shares the same initial folding sequence of traditional easy origami shirt. The special folding technique that you will learn from this model is cushion-fold which is to be applied for two times. 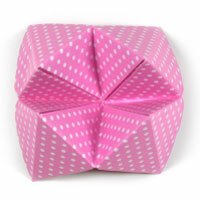 This new origami fortune teller could be the one to replace the traditional origami fortune teller. The special folding technique that you would learn from this model is outside reverse-fold. 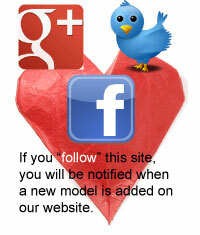 Definitely you need tp try this new fortune teller. 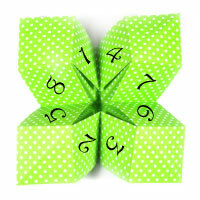 This paper fortune teller II is another one that can perform the same function as the traditional one. 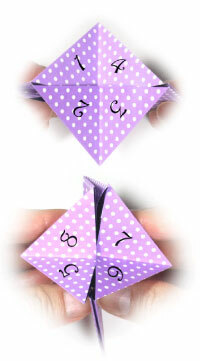 You could try to fold this new fortune teller and test it. This mono fortune teller is similar to the traditional one. However, there is a little difference. One can select one fortune out of four different ones.